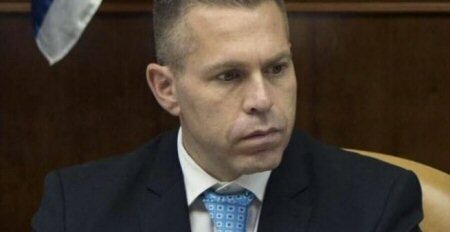 Israel’s Minister of Internal Security, Gilad Erdan, has called for international observers to be expelled from Hebron, claiming the mission is “hostile to Israel rather than a neutral force, and harmful to both the Israeli soldiers stationed in Hebron and the Jewish settlers that live there”. Erdan sent a letter to Israeli Prime Minister Benjamin Netanyahu, demanding that he end the mandate of the Temporary International Presence in Hebron (TIPH), sending him a secret police report “with data to back up his assertion”. In November, Netanyahu said he would review the mission’s status in December. The TIPH – a civilian observer mission which has been present in Hebron since 1997 – has a mandate which is renewed every six months by the Palestinian Authority (PA) and Israel. The mission’s current mandate ends in 14 days, which likely explains the timing of Erdan’s appeal. In doing so, he joins the right-wing campaign led by Deputy Foreign Minister, Tzipi Hotovely, to pressure Netanyahu to end the mission’s mandate. It was formed in the aftermath of a massacre committed by Jewish extremist rabbi, Baruch Goldstein, who killed 30 Palestinian worshippers during their morning prayers at the Ibrahimi Mosque in Hebron.